RW Series - Enhanced Operational Efficiency! 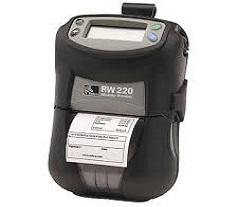 This rough and-tough receipt and limited-label printer is IP54-rated for harsh environments, and offers LCD for battery/ network status, vehicle cradles for convenient on-the-road operation, and card readers for in-the-field payment processing. Let your mobile workforce carry less and do more. This lightweight and rugged print station allows easy data entry and printing, as well as simultaneous charging of several devices.